DUBAI: The International Monetary Fund said Sunday that Pakistan has met nearly all of its quantitative performance markers, that its economy is showing signs of improvement and that its reform program remains broadly on track. The nuclear-armed nation of 180 million people faces a host of obstacles as it tries to restructure its economy and buoy its dangerously low foreign currency reserves, which stand at $8.3 billion. While trying to reel back expenditures and reorganize steep subsidy bills, officials say it is essential that economic reforms do not hurt the millions of Pakistanis who live in poverty on less that $2 a day. Pakistan signed a $6.7 billion loan with the IMF in September to rebuild its reserves after more than two years of depletions and support structural changes aimed at boosting investment and growth. The IMF loan to Pakistan came less than six years after the country's last IMF bailout, and the driving need for the money this time was to repay the institution nearly $5 billion that Islamabad still owes. As part of that agreement, the IMF conducts periodic reviews in order for its executive board to approve installments of $550 million spread out over three years. Pakistan has already undergone one economic review and received two installments totaling nearly $1.1 billion. The third installment is up for consideration in late March. To secure the loan, Pakistan had to commit to changes in the economy designed to increase growth and improve financial stability. The measures aim to bring down the deficit, reduce pervasive electricity shortages and increase the country's poor rate of tax collection. ''The current trends of the last few months have been very positive in Pakistan and prices have been stable,'' Pakistan's Finance Minister Mohammad Ishaq Dar told reporters in Dubai. Dar said the government is following ''very strict austerity measures'' that have not been easy to make. ''I think we have taken very painful measures, which were partially politically unpopular, but I think they were needed by the country and it has not only changed the direction of the economy... it has put us on the road of recovery and stability,'' he said. Despite overall progress in implementing reforms, IMF's mission chief to Pakistan Jeffrey Franks said in a joint news conference with Dar that pressures on balance of payments are likely to remain in place for months. The IMF is also concerned that inflation will rebound in the coming months. Franks said the IMF encourages the State Bank of Pakistan to be ''vigilant'' in its monetary policy to keep inflation at a reasonable level. The IMF forecasts that inflation in Pakistan will hit 10 per cent this year. Dar says the government expects inflation to rise above its current 7.9 per cent but that it will not hit double digits. Alongside Pakistan's economic challenges are constant risks to its security. The periodic review and press conference were not held in Pakistan, but in the United Arab Emirates' city of Dubai, because IMF officials were not permitted to travel to Pakistan after the body's representative in neighboring Afghanistan was killed in a suicide attack in Kabul last month. 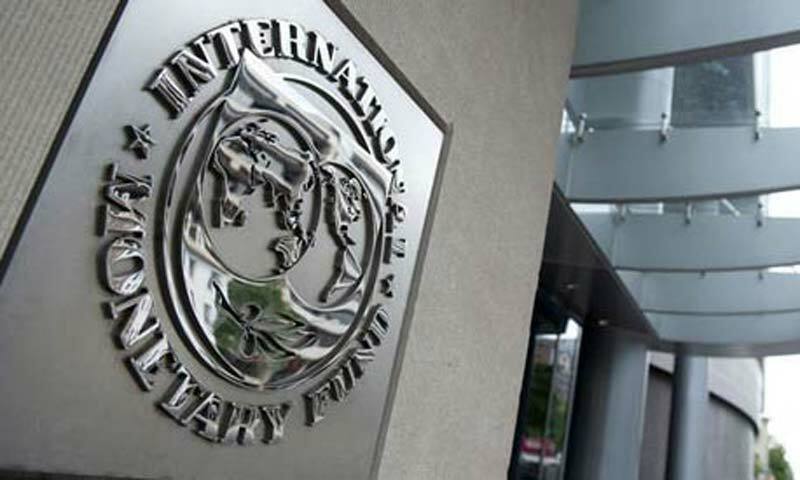 The IMF expects growth to reach around 3.1 per cent for the current fiscal year, still less than half the rate needed to supply jobs to Pakistan's growing population. The deficit, which was roughly 9 per cent of gross domestic product in 2012, needs to be brought down to around 3.5 to 4 per cent by the end of the three-year program. Dar said the deficit for the first half of the fiscal year stands at 2.2 per cent.